Modern and Cool Craft Camp is all about trying out new media and learning what you like to make. We’ll make concrete planters, polymer clay jewelry, printmaking, large drawings, leather goods, and more. There will be plenty of time to figure out what you or your kid likes to make and there will even be time to focus on that particular craft. We’ll show you what handmade goods are easy to sell in person at craft fairs and online on Etsy. We’ll even talk about packaging and make some super cool packaging for all of our handmade items. At the end of the week, show your items off to friends and family! All students will get to collaborate with TXRX Labs’ Tech Camp Responsive Electronics. Students will share lunches, breaks, and have visits from cool Houston makers together. Pop Shop America is a craft fair and art festival, founded in 2012, and with over 25,000 at our events annually. 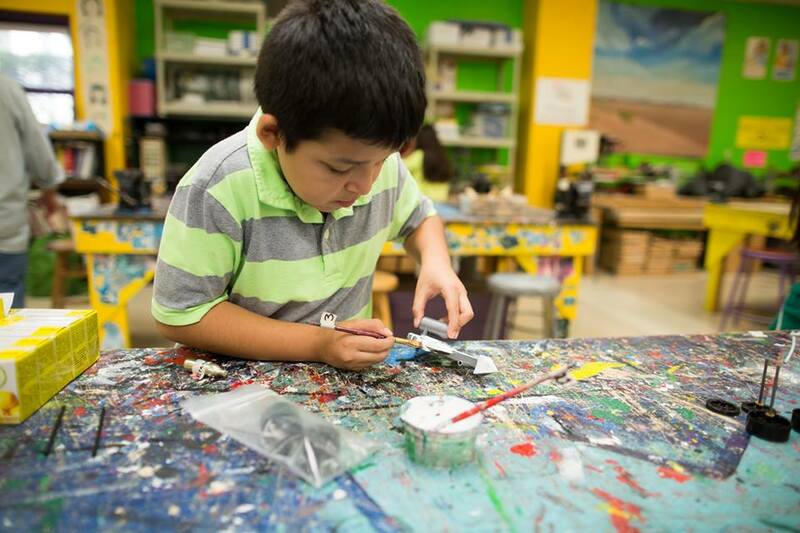 We teach hands on workshops to kids and adults to at the Houston Public Libraries, Harris County Libraries, Holocaust Museum Houston and other institutions. TXRX Labs Hackerspace is a makerspace on the East Side of Downtown. With over 30,000 square feet of space to craft, create, tech, and build, TXRX Labs has grown into one of the largest makerspaces in the country. Although we have multiple teachers for each group, and students are in a safe environment, all parents are required to sign a liability waiver before attending this camp. For more information about this camp visit here. 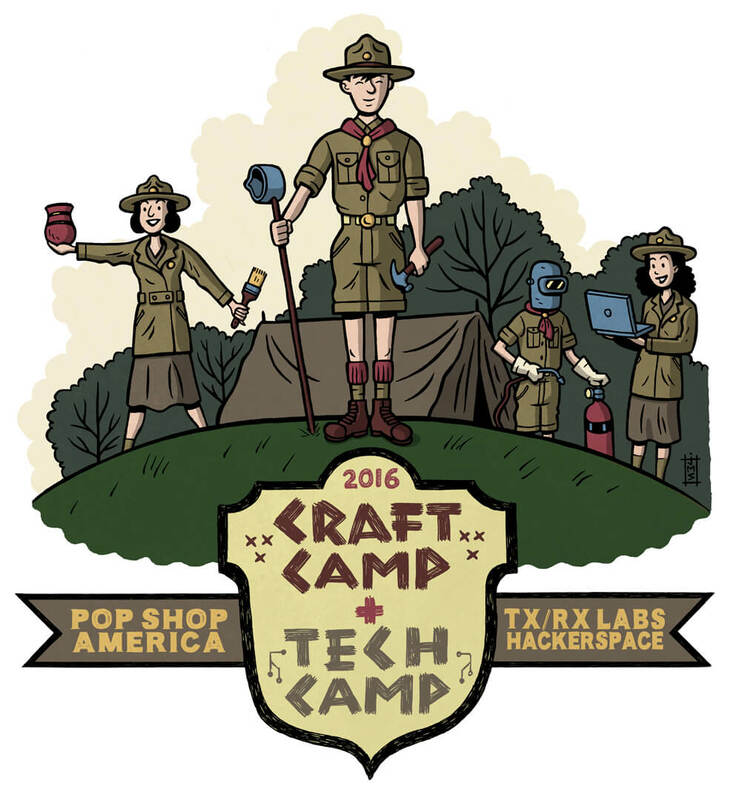 Looking for a Pop Shop America Craft Summer Camp for Teens? Visit Here. Looking for TX/RX Tech Camp? Visit here.